Our list of today's most popular upgrades for homes. Trends in home design have evolved and are light-years ahead of what they were 20 years ago. Amenities that once drew people to homes like Jacuzzi tubs and chandeliers have been replaced by soaking tubs, pendant lights, and sliding barn doors. When going through the stages of building a new home, it’s smart to plan in advance for upgrades that are right for you and that will make your house a home. We researched some of the most popular upgrades for new homes in 2016 and included a few of our favorites here. Just when we thought brass was out of style forever, its back in a big way! This brass isn’t of the polished variety, however. It is antiqued brass, brushed and seasoned to deep, rich hues that look fantastic paired with contemporary-inspired design. One area you don’t want to skimp on in your new home is closet space. “I have too much closet space,” said no one ever. Closets are utilized daily and serve a practical purpose that can’t be denied. Plan accordingly and you will be happy you did. With so many hours spent staring at screens all day, every day, a growing number of families desire spaces free of the constant distraction of technology. In place of TV screens and monitors, comfort upgrades like fireplaces make these rooms complete with ambiance and warmth. Talk to any home designer today and you will come to realize the importance of including an island in your kitchen plans. Today’s islands provide much more than a space of seating and entertaining. Push your island plans to the nth degree by integrating features like deep drawers for additional storage, pull-out bins for garbage and recycling, an under-counter beverage center, and a sink for food prep. Bringing the outdoors in continues to be incredibly popular with homeowners, and creating a sun-drenched space in your home with more windows than sheetrock will bring you joy for years to come. It will also make your house easier to sell when the time comes. Everyone loves a kitchen equipped with updated appliances that make cooking and cleanup easier. Spring for quality, premium brand appliances and you will be happier in the long run. New twists on kitchen appliances like steam ovens, drawer-style microwaves, double ovens and warming drawers continue to gain popularity and can make your kitchen unique. All in all, there are many upgrades that can make your home more comfortable and unique, but choosing from the myriad of options can be overwhelming. The best approach is to first determine how much you can spend on upgrades, then earmark and allocate a portion of your home-building budget toward them. Then comes the fun part – deciding what upgrades will make your house comfortable and unique to you. 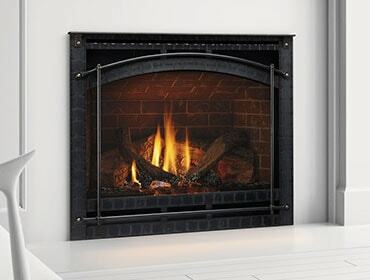 Of course, a fireplace is an upgrade that will pay dividends for years to come in the form of comfort and ambiance. Read more about major trends in home design and construction here.